Do you want everyone to see your sense of humor? Use Funny Camera photo effects like photo warp or fish eye effect to make hilarious pictures. 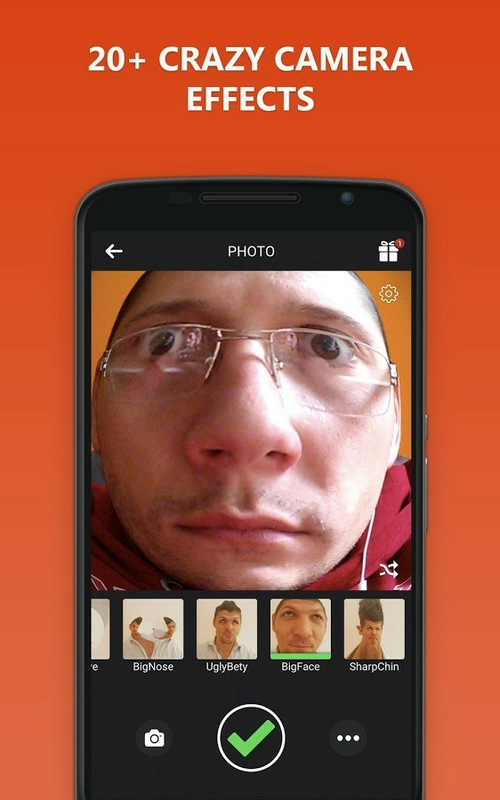 Be the one among your friends who always has funny pictures on social networks, with a huge number of likes, of course. Take a photo with someone and let people talk about your good sense of humor. 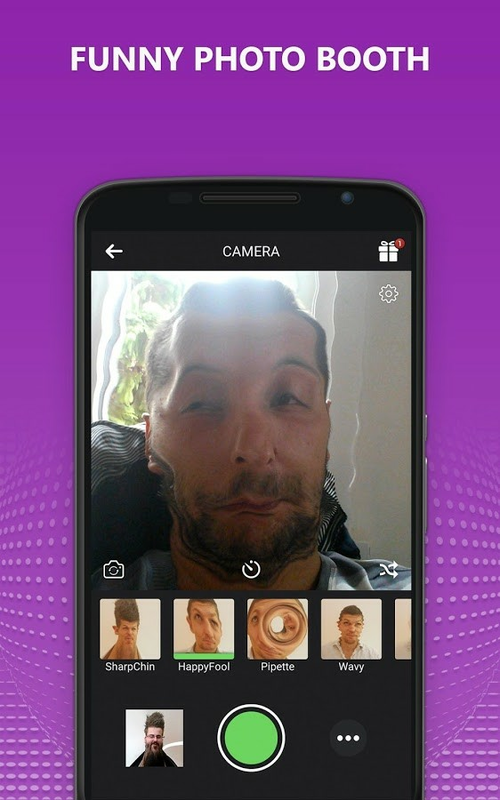 You don't need to make a grimace, just set the photo filters you want and you'll see your funny faces on the screen. Now you can laugh out loud because photo warp has done its magic. Download Funny Camera and have those amazing photo effects right now! 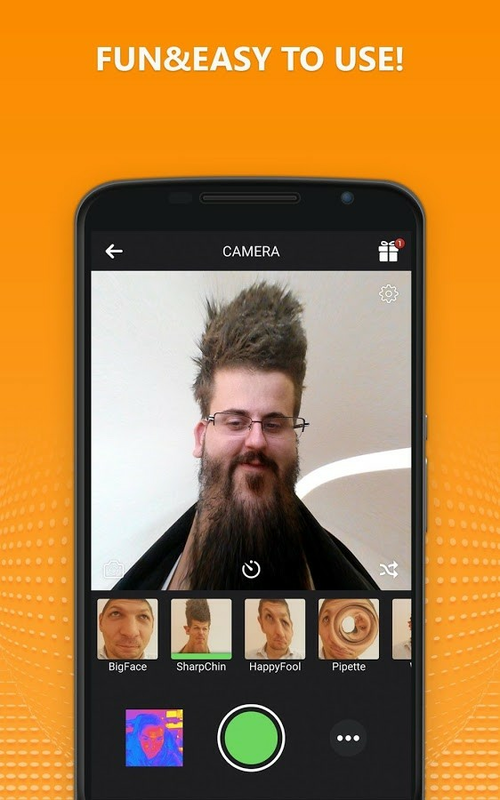 FEATURES: - Live camera filters - Choose over 40 camera effects - Timer - Flash Mode - Back and Selfie Camera - Choose from gallery - 30+ sharing options supported (Facebook, Instagram, Twitter etc.) - The best hash tags for maximum likes Thanks to Funny Camera, boring pictures are the past! 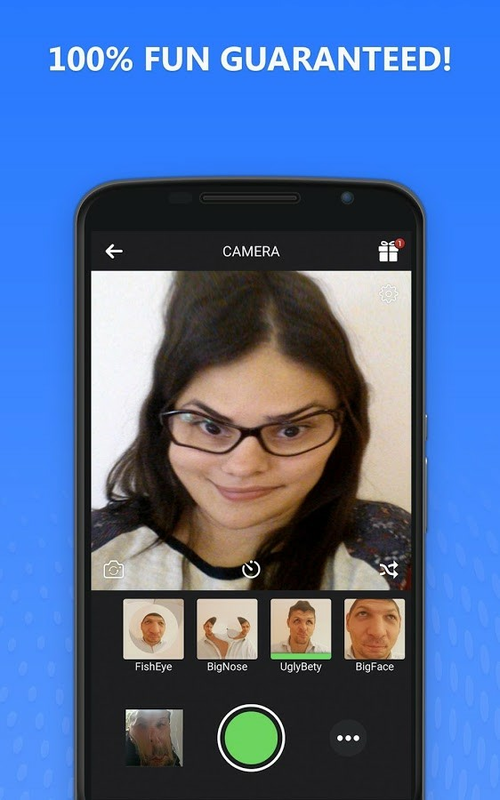 This funny photo editor will turn those boring faces into funny faces. You can also make hilarious pictures of your dog or some other pet. Take a photo of your best friend but don't forget to set the fish eye effect. 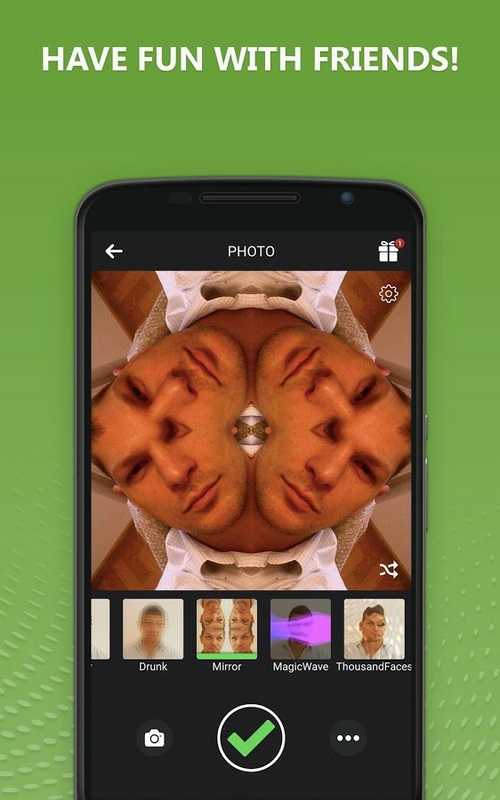 Or, try various photo effects as you are taking a photo and laugh at the funny pictures you create. Try it now, edit photos and watch how popular you're getting!